As the Bandit has no mechanical components it is practically maintenance free in itself. However, the system is subject to the typical lifespan of the back-up battery and the degradation of the food grade glycol within the HY3 fog fluid cartridge. The longevity of the battery is due to the extremely efficient insulation within the Bandit keeping internal system temperatures and power consumption to a minimum. 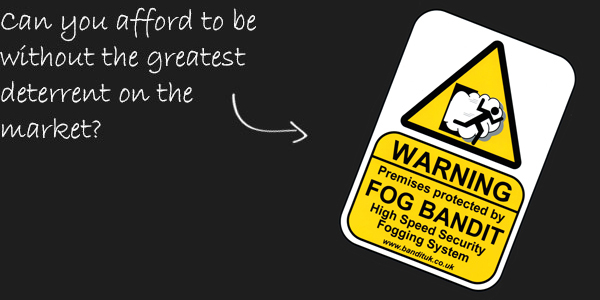 By using a clean-filled, hermetically sealed ’Patented’ cartridge system, the fluid’s lifespan is prolonged from the typical 6 months to 1 year in other systems to 4 years by minimising degradation of the glycol used to produce fog in all security fogging systems. 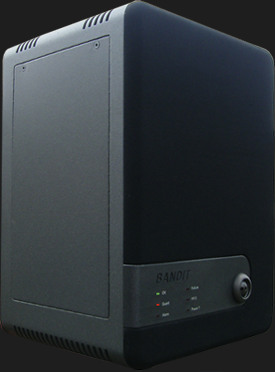 The Bandit has a self monitoring system providing 24/7 diagnostics of it’s functionality. Any status changes to any components critical to the Bandit’s ability to operate successfully, such as tamper, power problem (including back-up battery), fuse blown, fluid low are not only alerted to the user via the ‘Failure’ indicator LED on the front of the Bandit, but instantly reported to the intruder alarm panel so that the problem can be promptly identified and rectified. Since 2004 when the Bandit was first launched in the UK, a properly installed and maintained system has NEVER failed to activate when called upon to do so. Please answer the following: 3+9=?